Have you ever felt like your to-do list is too much to handle? Like you keep working to check things off the list but for every task you accomplish 2 more seem to get added on? Oh yeah. I sure get that. 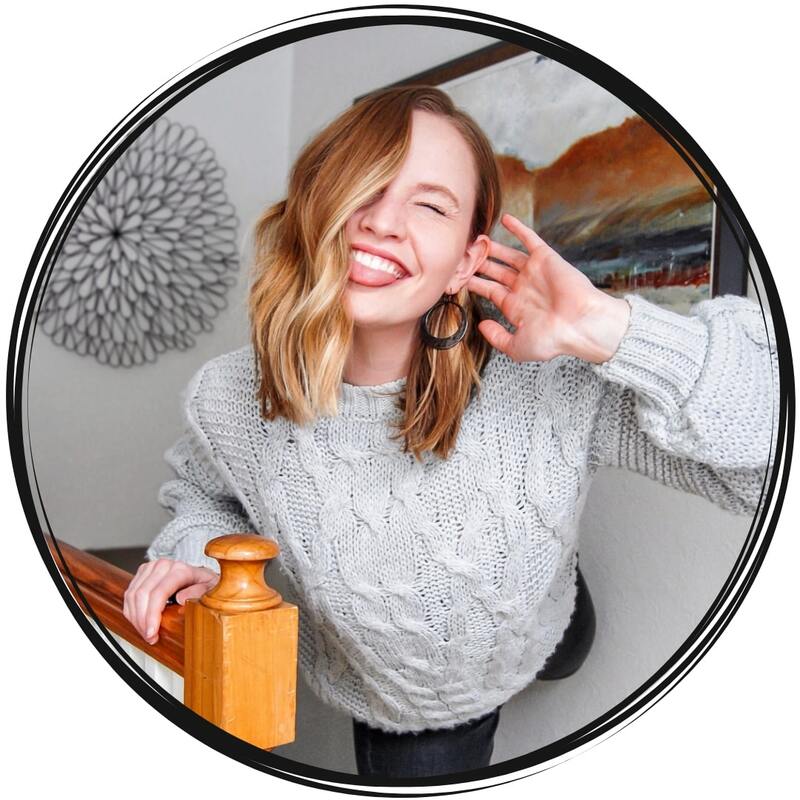 When I started my blog, I was still working a full-time position. 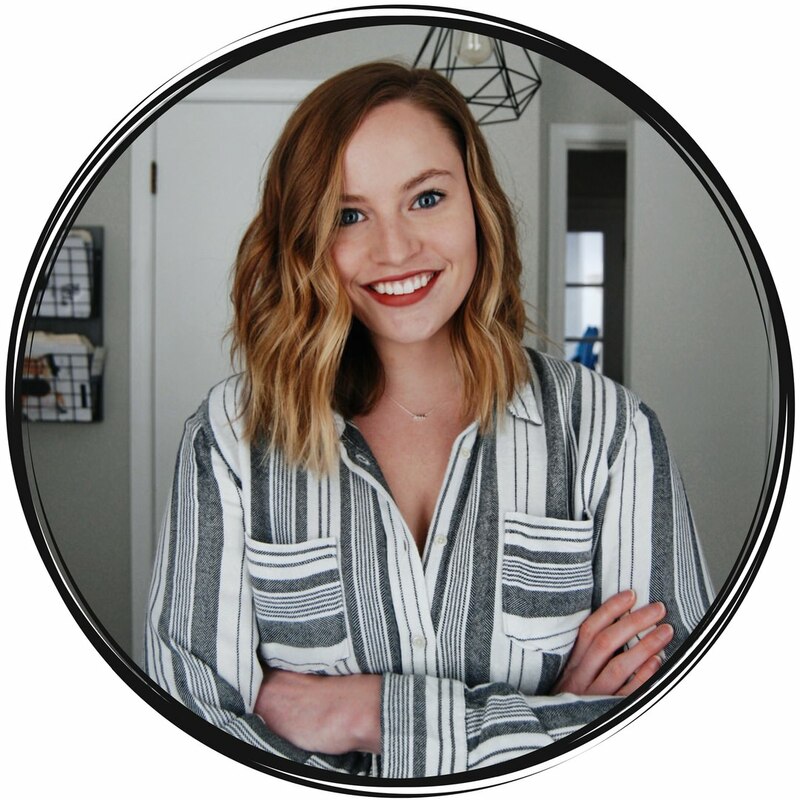 I was trying to juggle the daily tasks of that job while also trying my best to run a successful blog from the ground up. I was working over 12 hour days. Spending breakfast, lunch, and sometimes dinner at my desk. It was exhausting. And it only took me a few months to realize that I wasn’t doing either job well. Because I was trying to do everything, I couldn’t seem to give my all to anything. I knew that something had to change. That either I had to learn how to better manage my time and improve my productivity and focus OR I had to pull back on one of the jobs. And at the time, I didn’t have the choice to pull back from my full-time position. So that meant pulling back from my blog. And that wasn’t going to happen! So I decided to learn all of the productivity tips I could.I spent months trying different techniques and perfecting my daily to-do list. And now, I feel like I’ve got a pretty good handle on this whole productivity thing. So it’s about time that I share my tips with you! 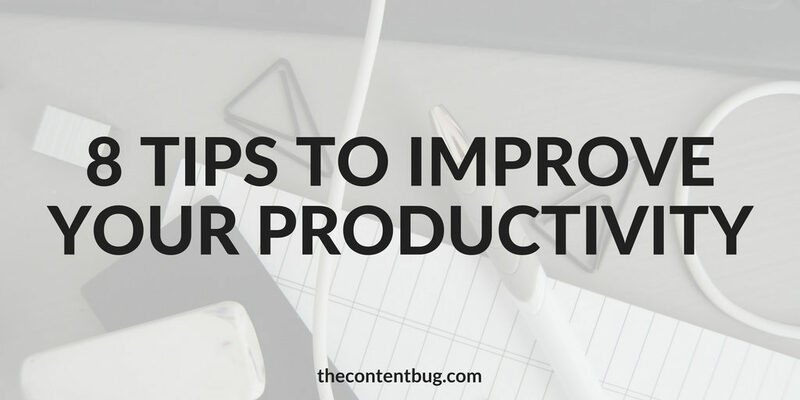 If you’re ready to improve your productivity, to get more done in less time, and to stop spinning your wheels on tasks that are just getting nowhere, then it’s time to get into this list! First up is one of my favorite productivity tips of all time. And it’s something that most people don’t do… Time yourself! When you work on a project, that should be the only thing that you’re working on. You shouldn’t be checking your email every 5 minutes. You shouldn’t take breaks to look through your social media. And you certainly shouldn’t switch tasks part way through because something “really needs to be done”. You need to work on 1 task at a time. And time yourself while you’re doing it. The next time you’re about to start a task, ask yourself how long you think it’s going to take. If you guess it’s only going to take 30 minutes, then set your timer for 30 minutes and get started. But if you think it’s going to take 4 hours, then you need to break your work up into 8 30-minute segments. While your 30-minute timer is going, you’re only allowed to work on the task at hand. You’re not allowed to check your phone. You’re not allowed to go to the bathroom. You just have to work on the task at hand. And at the end of those 30 minutes, then you get to take a break. I recommend only a 5-minute break so you aren’t wasting your time during your downtime either. It might seem a little strange right now. But I dare you to try it. You’ll be amazed at what you can get done in just a half hour. So let me explain something: there is a difference from your blog to-do list compared to your general to-do list. Things that need to get done around the house – general to do list. 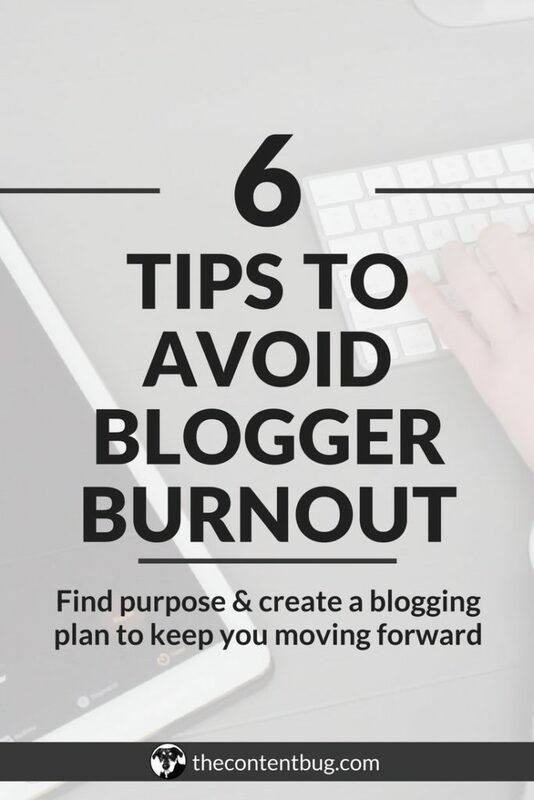 Things that are actually important to push your blog forward – work to do list. 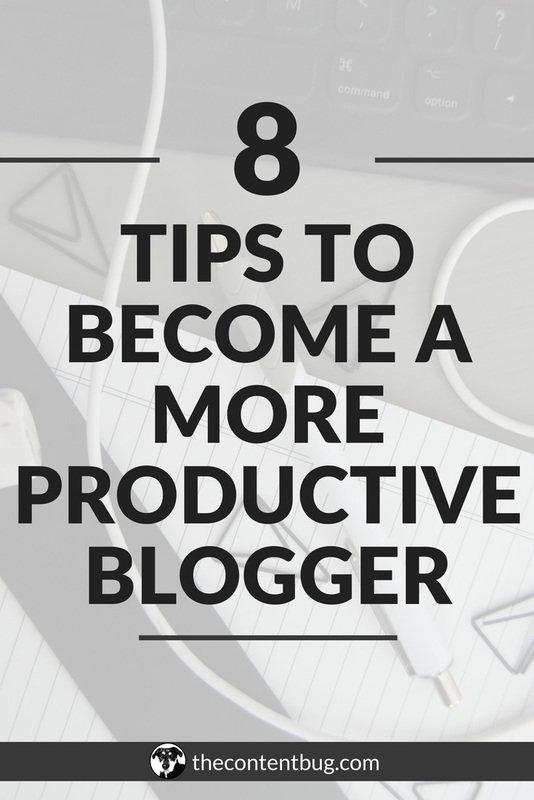 And for this tip, I specifically want to talk about your blog to-do list. 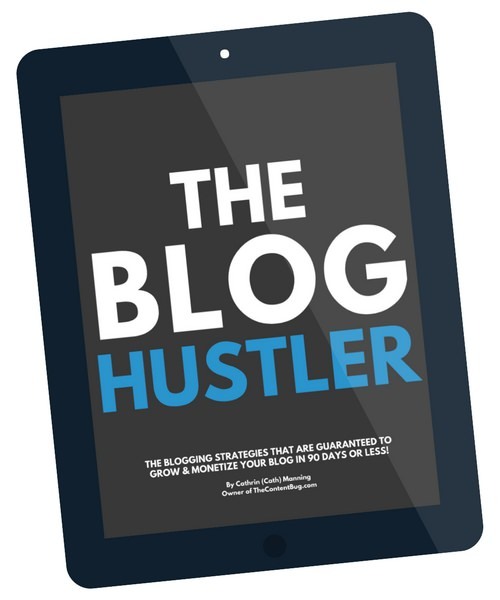 There are a few rules you need to implement when it comes to creating a successful blogger to-do list. First, anything that would take 2 minutes or less to complete is not an important task for the day. It needs to be done immediately, no matter how long you’ve been pushing it off. And second, any task that is part of your normal routine for the day isn’t considered an important task. For example, every Friday I take time to schedule my pins on Tailwind. That isn’t something that should be on my to-do list because it gets done every Friday! With these 2 rules in mind, your work to-do list should be filled with things that are high-value and big impact. Don’t know what this means? I go over everything in my Big Plans Productivity Guide & 6-Month Planner. There is nothing worse than waking up in the morning not knowing what’s on your to-do list. When you don’t have a set plan for the day, you’re more likely to waste time in the morning doing random things instead of working on projects that are actually important! Especially if your blog is your side-hustle… if you have time in the morning to work on your blog, then you need to spend that time wisely! And that’s exactly why you need to plan your day the night before. Every night take 15 mintues to assess what got done today and what you need to get done tomorrow. 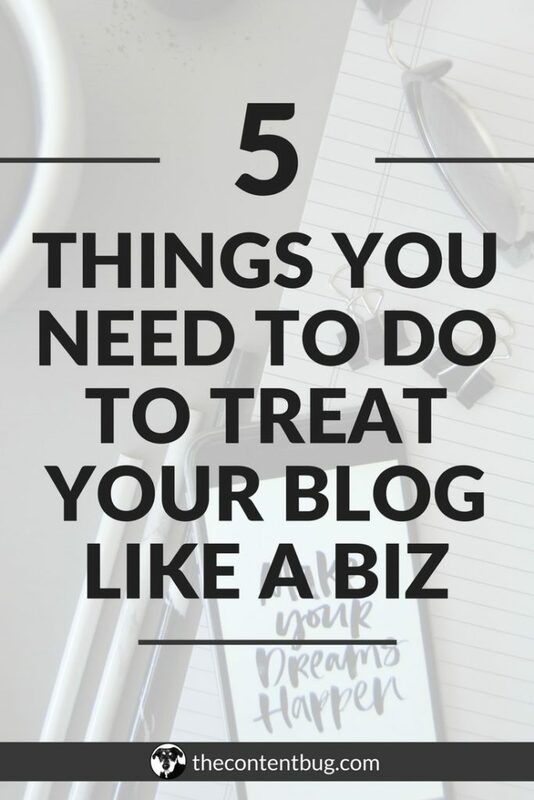 Then write out a set to-do list and leave it on your desk, laptop, or wherever you’ll notice it, so you can get right to work when it’s time to work on your blog. This is one of the best ways to improve your productivity. I’m telling ya! Each day you should only have 3 top priority things on your to-do list. Well here’s the thing, we naturally waste a lot of time when we jump from task to task. And if there are 10 things that you ‘have’ to get done during the day, you’re likely to waste over an hour just from switching between tasks. So the smaller your to-do list is… the better! And 3 top priority tasks is the sweet spot. So the next time you go to plan your day the night before, try to boil all of your projects down into the top 3. And then dedicate your time and energy to getting those jobs done properly. And if there wasn’t a specific date, I would always push it off and push it off until the end of time. And sadly, some of the projects I was given never got done because other projects with actual deadlines took top priority. So if you want something to get done, then you need to set a deadline for your tasks. This is a great way to improve your productivity and to make sure that you follow through with every task on your to-do list! There is almost no way that we can avoid all the texts, calls, emails, and social media notifications that happen throughout the day. But these alerts are just hurting your daily productivity. So when you can, turn off your notifications. And if you can’t turn off your email notification all day, I get it. But at least try to turn it off when you are timing yourself for 30 minutes of work. This will help to keep you on track with the project at hand and stop wasting time on things that aren’t really important at the moment. I’m not sure when I started to become obsessed with morning routines. But I love them! I think the best way to become a morning person is to create a morning routine that you actually enjoy. Most of us wake up in the morning just to rush around to get ready for work. And it’s no surprise that we press the snooze button 10 times when our mornings are stressful! Who would want to wake up for that?! I heard something several months ago that said how you spend the first hour of your day is how you’ll spend the rest of your day. So if you spend the first hour of your day flustered and running around, you’re more likely to be stressed throughout the day. And if you spend part of the first hour of your day scrolling through social media, you’re more likely to continue to randomly scroll throughout the day. So think about it: what can you do in the morning that would improve your productivity throughout the day? I like to read, meditate, journal, and workout in the morning. When I take time for myself, I can bring my best self forward throughout the day. It’s not enough to say that you’re going to start going to the gym every day. Most people need a way to be held accountable to actually make it to the gym. And the same goes for the tasks on your to-do list. If you have a boss, they are (most likely) going to hold you accountable. But as a blogger, there isn’t someone there to hold yourself accountable. So you need to find a unique way that will actually work for you! It could be as simple as telling a friend, partner, or parent. Or you could make it a threat and tell yourself that a specific task has to get done or you have to do something you don’t want to do! Whatever it is that will hold you accountable, DO IT! Now if you’re really serious about improving your productivity, then I’m going to share 1 last bonus tip with you… get a planner designed to improve your productivity. I used a bullet journal for a long time because I couldn’t find a planner that covered everything I needed it too. I wanted something that could track my time and the monetary value of my day, while also helping to manage my to-do list to make sure I was as productive as possible. So I decided to create my own spreads that allowed me to do just that. But over time, I realized that I was actually wasting time creating those spreads. I would spend a couple hours a week drawing in the layouts for each of the days. And it seemed a little counterintuitive to what I was trying to do. So I converted my productivity spreadsheets into a physical planner! And now it’s available for you to use too. It shouldn’t come as a surprise that this isn’t your typical planner. You won’t find daily spreads that only include your daily to-do list. Instead, you’ll receive a complete guide to productivity, including how you can use the planner to your advantage, in addition to 6-months of blank productivity spreadsheets. It’s designed for you to start at any time and modify any way you need. 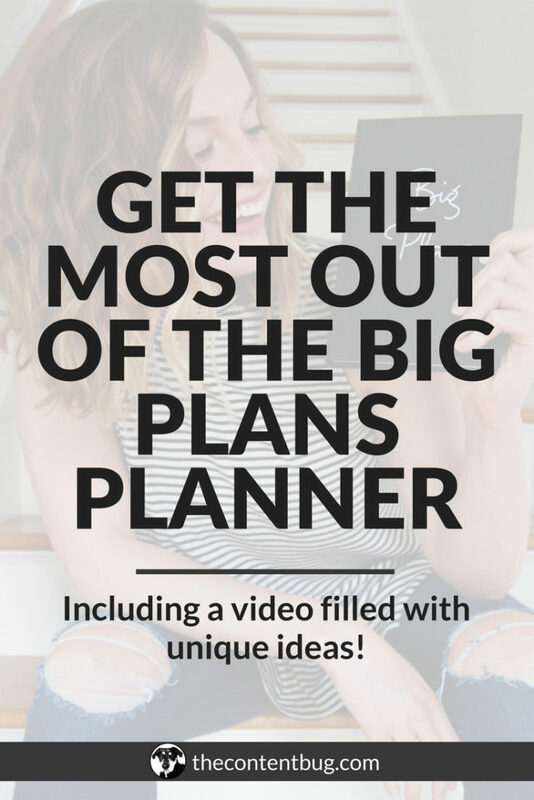 I wrote a whole blog post about how you get the most out of your Big Plans Planner. And in that post, I share what the spreads look like PLUS a video tutorial with tons of ideas on how you can use it. Preview the Big Plans Planner NOW!